This all started with me wanting to try out a mini quadcopter, well it is the crazy at the moment right. 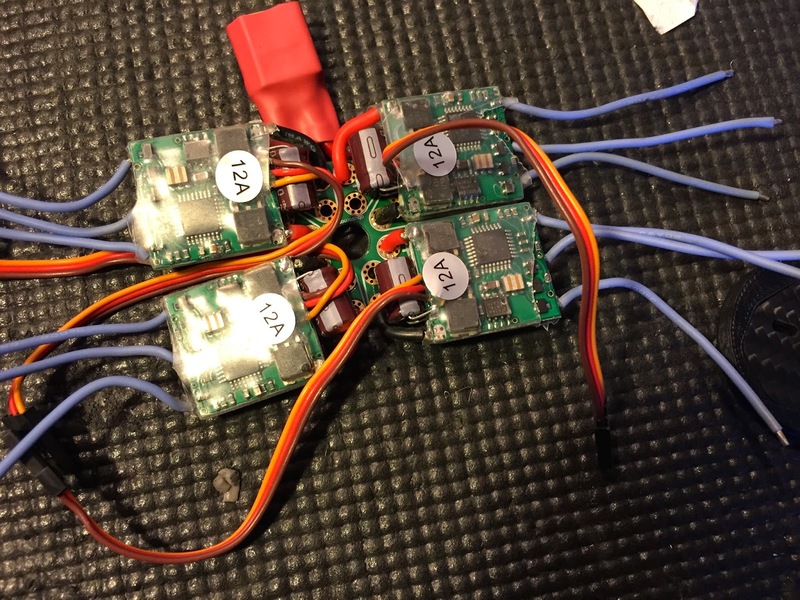 I first started with a FPV250 from Hobbyking and and some RCX1806 motors with Turnigy 12amp plush ESC's running a Naze32. After an untidy build, there's no room on that frame, I got flying. It took me a while to adjust and tune for a mini quad (40 props later). So after some pretty hard crashes and broken parts I got an ok flying quad. Of course I then proceeded to push and had a very hard smack into the tarmac.... I failed to pull out of a triple flip ... It was not pretty. So this lead me to searching for a new frame, ESCs, Motors .... on a budget still. This lead me to the ZMR250. For $30US I didn't think you could go wrong. So I embarked on a ZMR250 build, after some trial and tribulations I got a nice little quad build. But I also wanted an acro frame separate from my learner FPV mini quad. 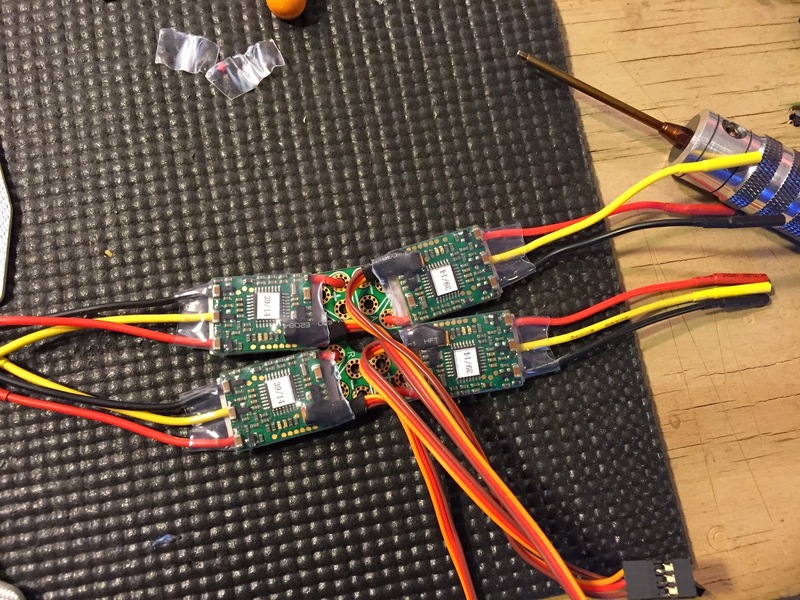 I didn't want to have all my FPV gear on a frame that I was using for line of sight acro learning. So I ended up with 2 ZMR250 mini quads, both following the same objectives. One is a carbon fiber frame and the other a silver glass fiber frame. Ok lets get down to the differences in the builds. 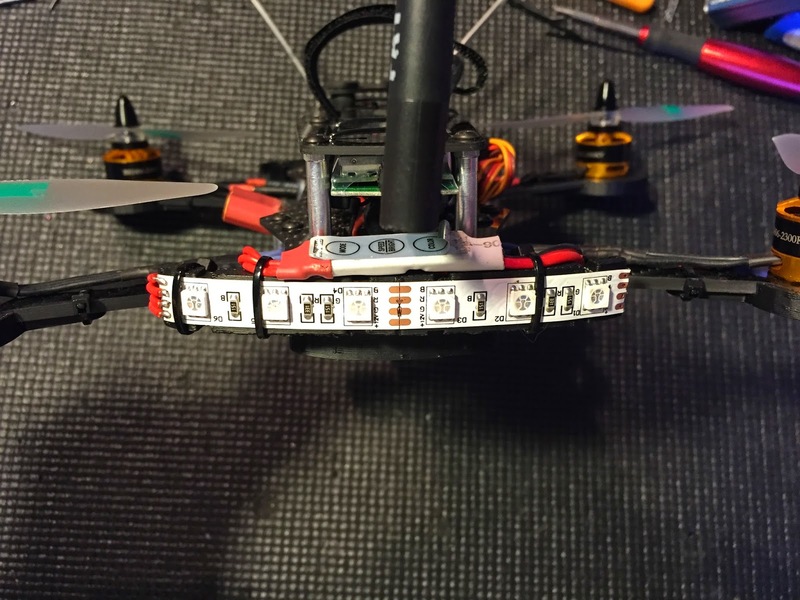 The main one is the use of standoff to provide space between the lower plates to allow room for the ESCs to sit inside of the frame. I also thought this would make it easier to replace arms if one broke or bent. 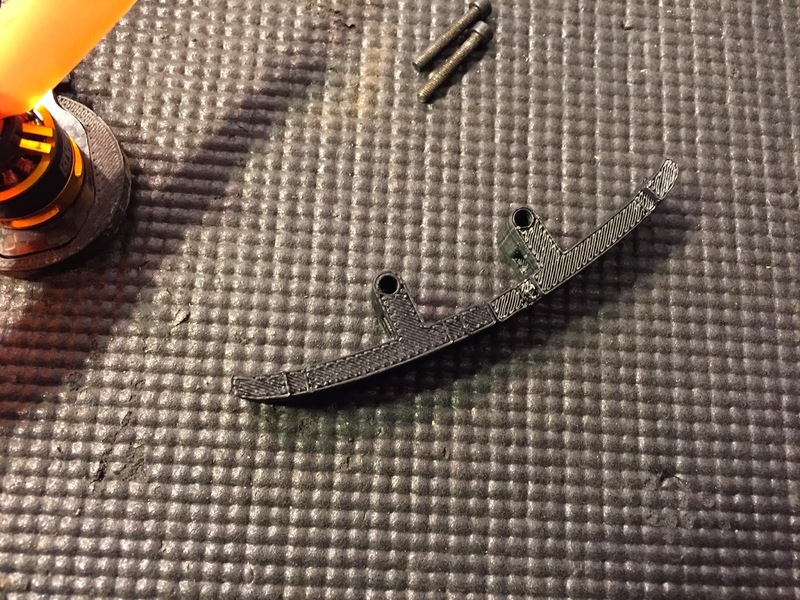 As there have been reports that this happens easily due ot the ZMR250 arm design. 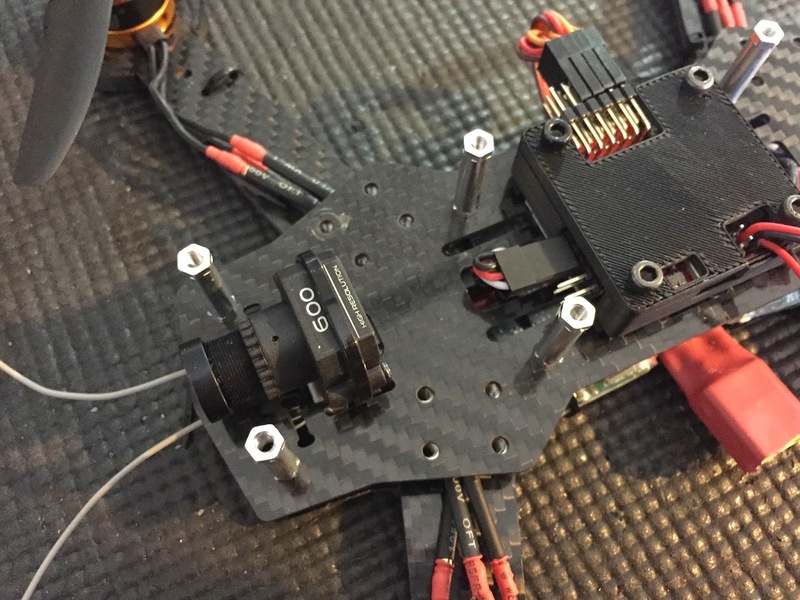 I used the same 10mm standoffs for both the carbon frame and the silver fiber glass frames, This gives a total of 13mm between the plates to fit the ESC and wiring into. The next tricky part is getting the ESC and the 35mm power distribution boards in that space. 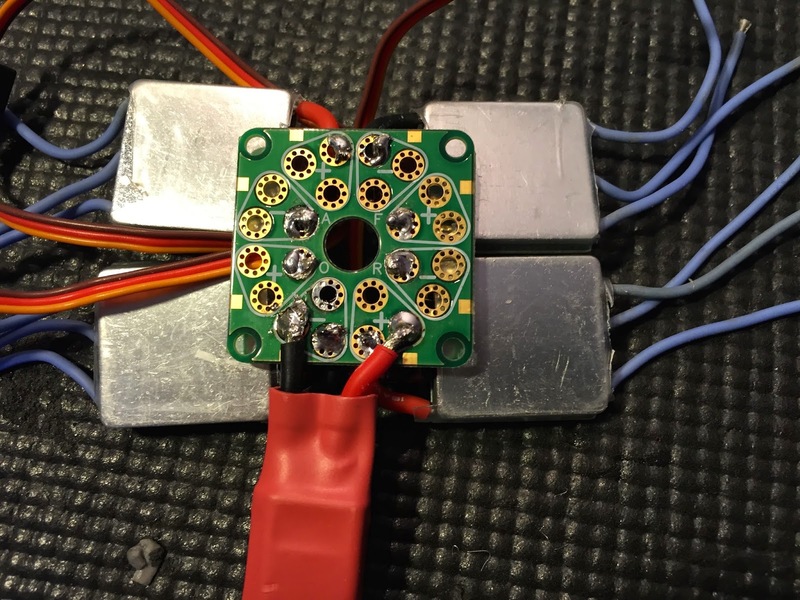 Using the RCX ESC's this was a real push as the ESC are large for a 12amp rated ESC. I would not use these again as the first time I powered them on one burnt out and took a motor with it .... I was displeased. Luckily I had ordered spare ESC's and motors. Without the 35mm PDB I would not have been able to do it. 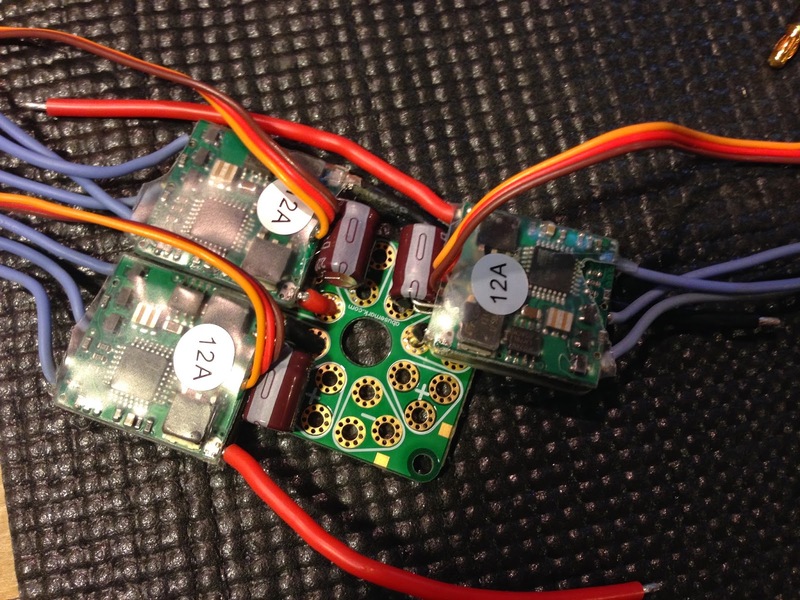 Doing the same thing with the Afro ESCs was much easier, they are a great little ESC. 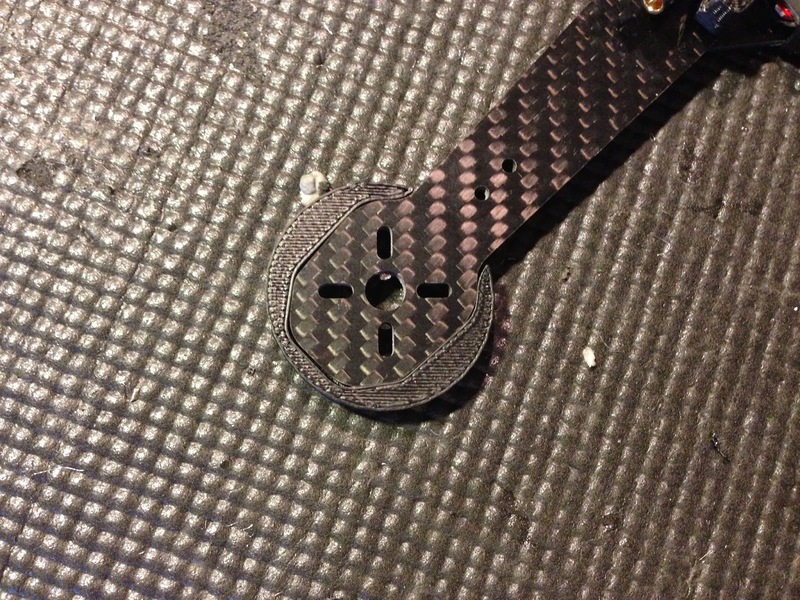 For the top plates I use different height standoffs, On the carbon I used 22mm this was enough for the Fatshark FPV camera to be sandwiched nicely between the plates. On the Sliver I used 16mm which was enough to allow the NAZE32 to be mounted. 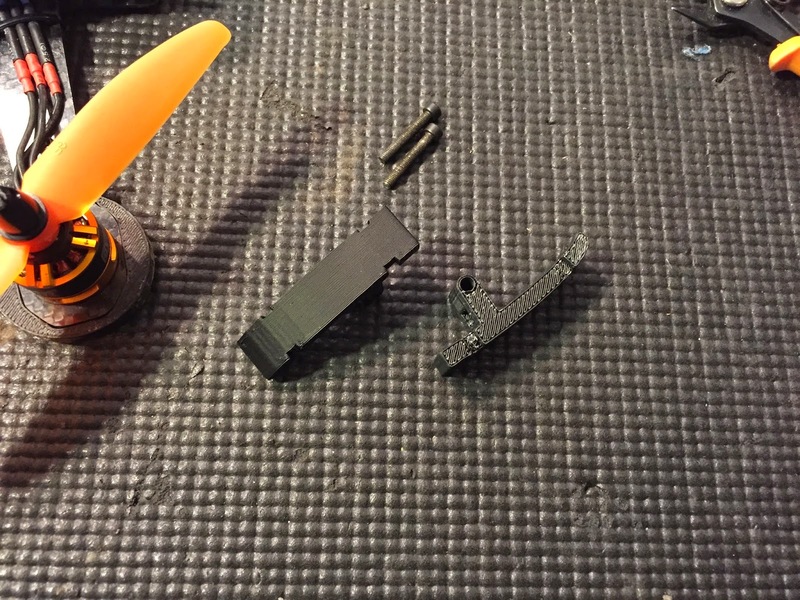 The joy of having a 3D printer is that you can make a lot of things that are not available. It has been great for my quad builds, I have made gimbals, anti vibration systems, flight controller cases... pretty much anything. It was well worth the $500 investment. 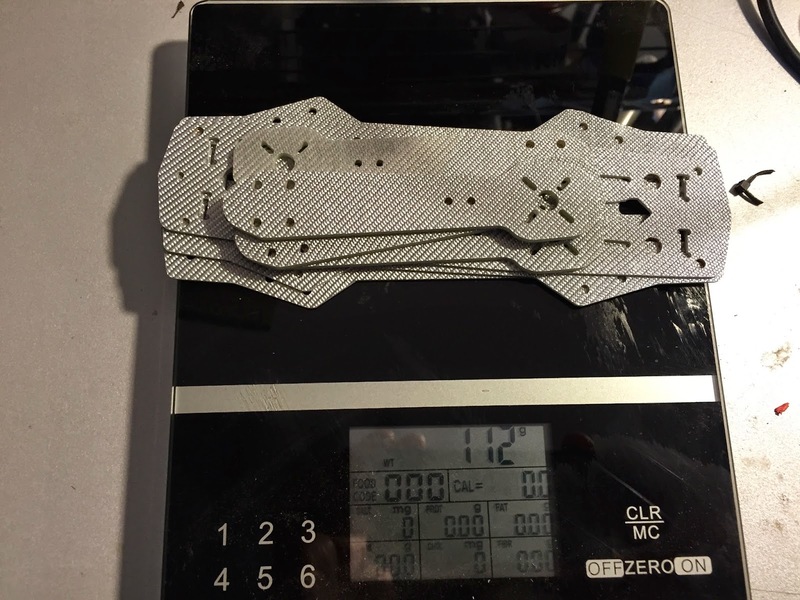 So for the ZMR250 I wanted some arm protection, Since I fly alot of time over tarmac and gravity is alway trying to make me hit it I designed some arm protectors that fit on the end of the ZMR250 arms. Its a tight fit on the carbon arms, and is a little loss on the silver ones, but once zip tided on they are very secure. Since I do alot of evening flying, only chance I get most of my quads and LEDs on them. The minis are no different. I wanted something that would allow a decent set of LEDs and was also out of the way so that they wouldn't get damaged in a crash. After a little bit of trial and error this is a completed Lightbar with the LEDs on it. The larger version is printed in two halves due ot the limitations of the printable size of my printer and then just super glued together. The thickness is 13mm which fits the space between the two bottom plates with the spacers. They use the holes already in the frame for mounting. Longer screws/bolts are used and they go into the top plate standoffs. A complete large light bar. 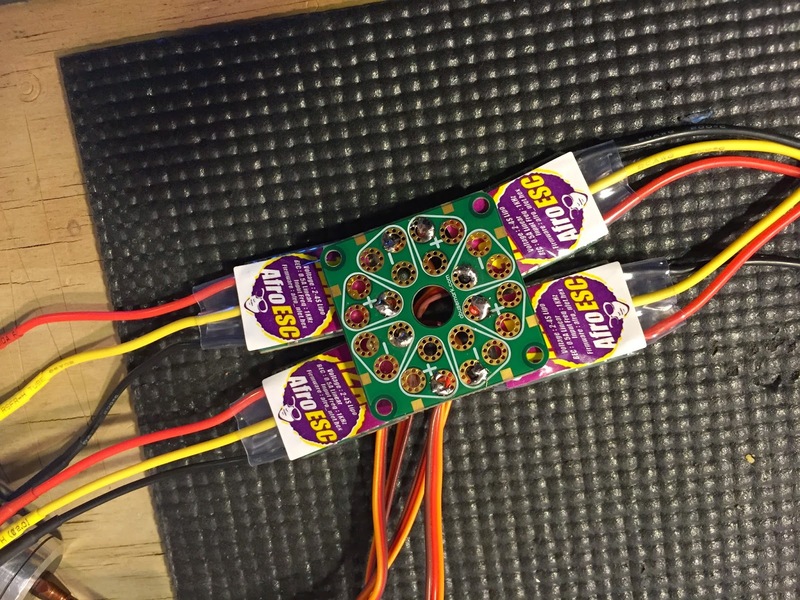 it has enough space fro 6 LEDs from the common 12 LED strips. I run 3 red, 3 Green same as on a plane to help with orientation at night. On the Carbon frame FPV I also put a large bar on the back with a multi LED colour controller so I can have all sorts of fun with colours. Since I fly low over tarmac alot of the time that are touch downs and slides so I wanted an easily replaceable skid plate for the bottom of the quads. These are mounted using the same bolts & fame holes that the light bars use. 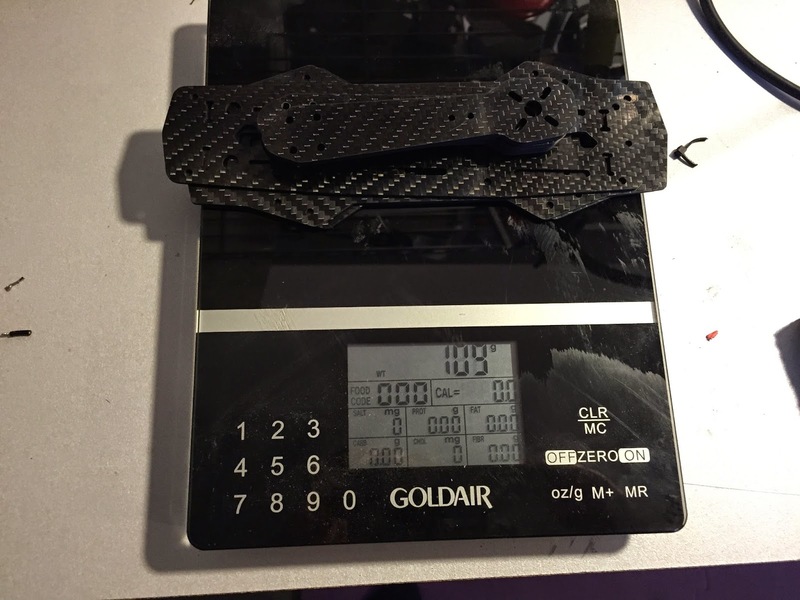 The weight difference between the frames is 4 grams. This is only including the arms and the three frame plates which is all I used. I hope this perks your interest in what other options you have with this great little frame. 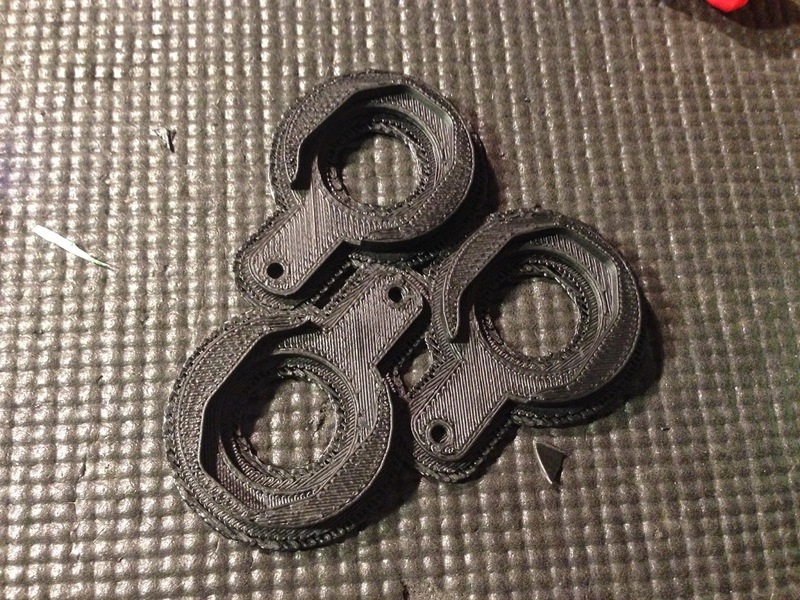 The next multi-rotor in my collection to get a little 3D printing love is the Fortis Tricopter. I love this frame. But I had issues with getting jello free video with the Mobius camera. I wanted to have really clean lines with central battery holder and protector that could also function as landing gear. While I was in the process of updating I also dropped in a Naze32 board. Naze32 in a 3D printed case mounted via 3M double sided tape. I used the mounting holes on the Fortis frame as the mount points for my anti jello system. It was a simple case of altering the holes and printing a pair. I first started with bottom plates that I had left over. This soon changed as I integrated the battery holder and legs into the design. New mounts bolted to the frame. A couple of test fits with the older base mounts. Both the gimbal and the static mounts were tested. At this point I decided to change the bottom mount to the integrated battery holder legs. That way I could also remove the legs from the tricopters legs. The new design also provided some protection to the camera/gimbal on hard landings that usually broke the zip-tied landing gear. The new design had supported base plate and a battery tray for the zippy 3700s. 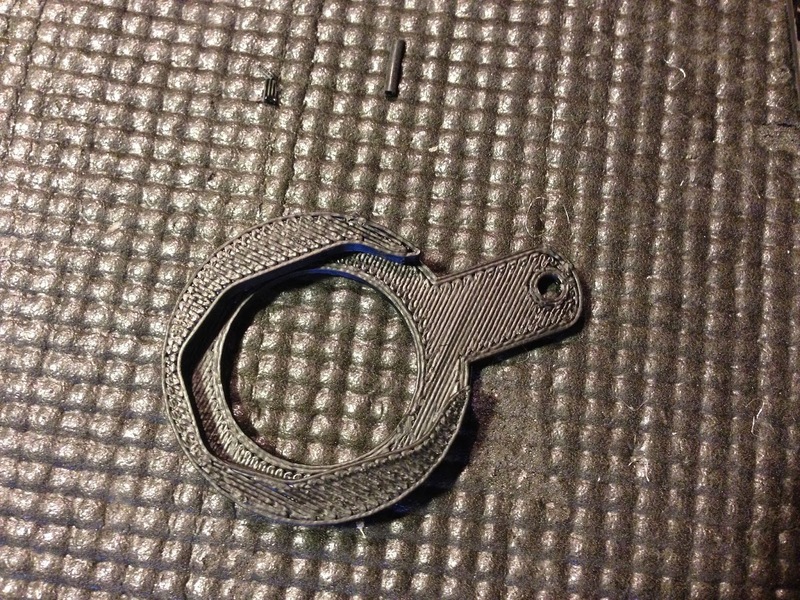 I also printed a Velcro strap battery holder as the battery fastening system. Here is the first design mounted ready for testing. 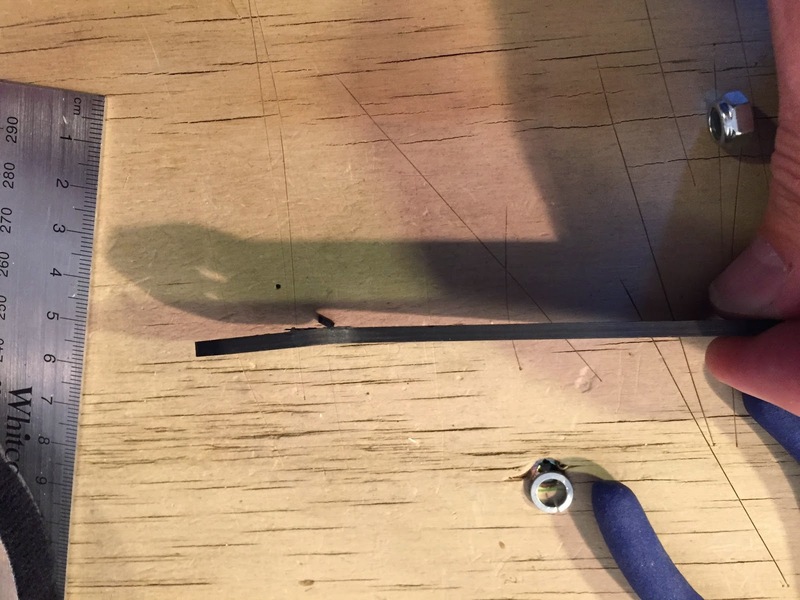 The design worked really well, It gives the tricopter a nice thin profile which I like. Very stable landing gear platform and provides a good platform for video. I plan to do some test video soon. But at the moment I am too busy crashing my new flipping quad.